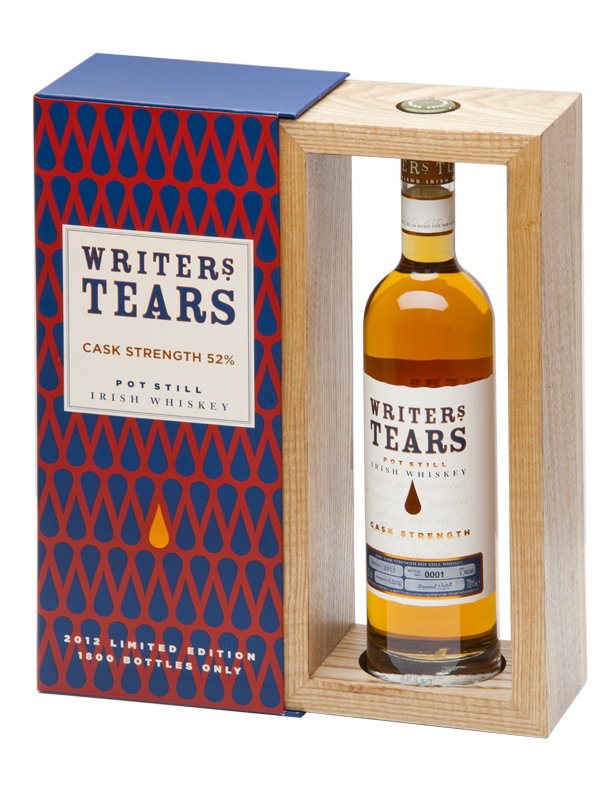 There is a new Writers Tears Cask Strength coming next week. It's 52% ABV and is, like the standard bottling, a blend of pot still and malt whiskeys, entirely matured in bourbon casks (all first-fill here). There was a Writers Tears Cask Strength last year too but this is a fresh batch of 1,800 bottles. The packaging has been updated too. The simple wooden framing of the bottle is very elegant, I think. 180 bottles will remain in Ireland (find them at the Celtic Whiskey Shop and airports) but the rest are destined for Germany, France, Ukraine, Holland and Australia. The price in Ireland is around the €120 mark, which is where Writers Tears / The Irishman normally pitches its premium offerings. There is clearly a healthy demand for this bottling because the release is a full 600 bottles larger than last year's. By the way, that 12 year old Irishman single malt flagged here back in June is still on the release schedule, to appear at the start of the new year, perhaps.